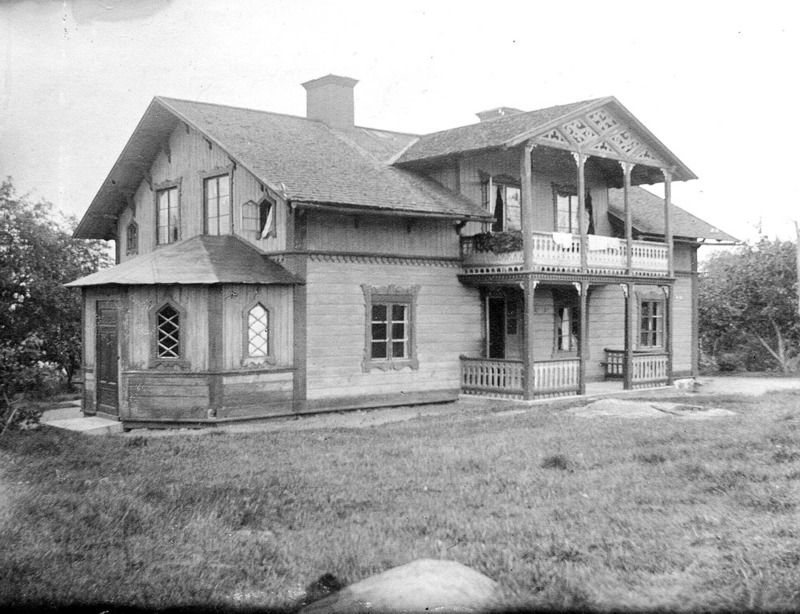 This is the "mansion building" (where the owners of the farm lived) at the Västanvik farm on the island of Nämdö. 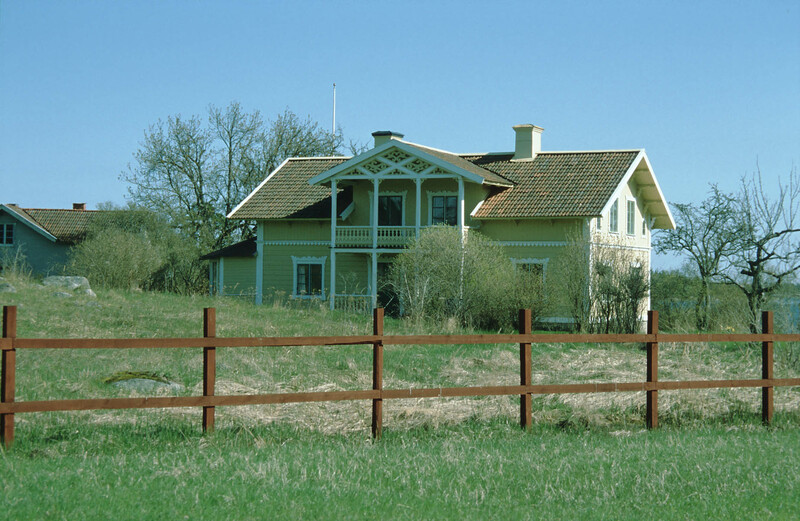 It is said to be built in the beginning of the 1860th, though with a lot of old building material from the buildings at Östanvik that were dismounted at that time. E.g. several inner walls in this building is made of bricks originating from the big barn at Östanvik. When a door under the balcony was recently replaced, the two lowermost blocks were somewhat cut, thereby creating two samples for dendrochronological analysis. One of these had a bark surface which made it possible to settle its felling year to the winter of 1863/1864. Members of the owner family tell that their grandmother, born in 1865, was born while the house was being built. This story corresponds with the dendrochronological dating. Another sample was taken from a block related to the connection of the balcony to the house itself giving an end year of 1871. This indicates that the balcony was added to the house later than when first built.